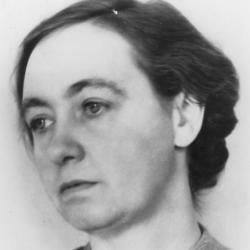 In the 1930s, Josephine Herbst (b. 1892) was widely regarded as one of the most important woman writers in America. She was a friend of Ernest Hemingway, John Dos Passos, Katharine Ann Porter, and Nathanael West. Yet by the time she died in 1969, she was all-but-forgotten. Herbst wrote the four autobiographical essays in The Starched Blue Sky of Spain and Other Memoirs, during the decade preceding her death, when her political and feminist insights were beginning to gain reconsideration. As Diane Johnson wrote in her introduction to the first edition of The Starched Blue Sky of Spain and Other Memoirs, "We still live in a time that needs someone like Josephine Herbst to remind us of the uses of art and the meaning of a literary life."